Submission for the annual I AM 8-Bit show a couple of installments ago. 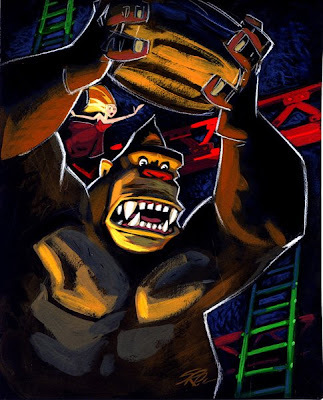 The paintings are inspired by classic videogame imagery and Chronicle has published a book from the first year of the show. 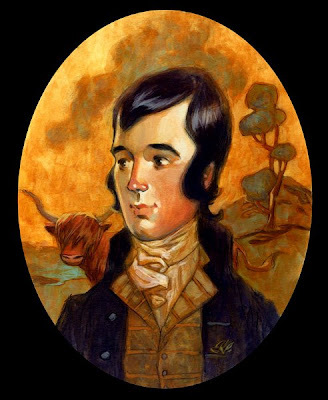 A weird style for me with chunky acrylic strokes on black board, and some white colored pencil as well. The show returns this August so I'll be pulling something together for it soon. 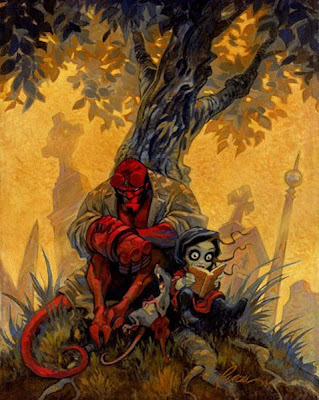 This was painted just for fun but then sometime later was included in a Hellboy anthology comic called Weird Tales. Acrylic on canvas. I usually paint on board but canvas sometimes makes things seem more "paintery" and less "illustratey" if you'll excuse the technical jargon. 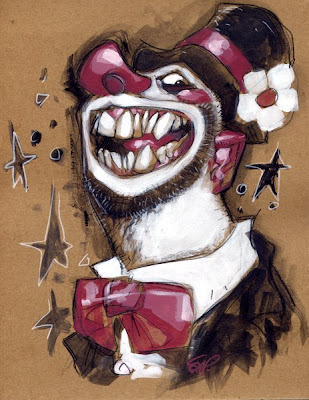 At one point I thought it might be fun to paint hideous clowns on cardboard. And by God I was right! Believe it or not this is the more charming of the few I actually did. I recently picked up the painting from storage at a gallery where it's presumably been scaring the mice away for about a year.